If you’re an avid follower of national and international news or are passionate about the business and finance sectors, it might be worthwhile looking into economics degrees. Although at first glance economics may seem to be all about money, it is fundamentally a people-focused subject. It’s also a highly diverse subject, to the extent that undergraduate economics degrees are available both as a Bachelor of Arts (BA) or a Bachelor of Science (BSc). First of all, what is economics? Part of the social sciences group, economics explores the full spectrum of issues that impact on financial situations and decisions. From production to consumption, economics looks at how the world’s resources are used by and distributed among individuals and organizations. This involves studying areas of politics, sociology, law, psychology, geography and history, at local and global levels. Whether classed as a BA or BSc, economics degrees require students to combine economic theory with empirical investigation, using statistical techniques to investigate questions in public policy and the business/financial fields. As such, applicants should have an aptitude for numbers and IT along with an ability to analyze problems and an enthusiasm for understanding current affairs and the world around you. Economics is also often offered as part of a joint or combined honors degree, paired with subjects including computer science, engineering, history, law, sociology, management, mathematics, modern languages and politics. Economics degrees will start by introducing students to core economics topics such as microeconomic theory, macroeconomic theory and econometrics (applying mathematics, statistical methods and computer science to economic data). Other core modules may include mathematics, statistics, history of economic theory and applied economics. The study of economics in developing nations, development economics (or the economics of development) uses economic theory to look at ways of promoting economic growth, increasing employment, understanding inequalities and improving wealth distribution. Research in this field may look at issues such as market restructuring, international intervention, local customs and politics, the multidimensional aspects of poverty, and different approaches to measuring development. Development economics is an ideal specialization for those interested in studying the challenges posed by persistent world poverty, the ongoing concerns about poverty-related issues being focused on by international organizations, and how the tools of economics can be used to address some of these challenges. You may also choose to focus on development economics within a specific world region. An increasingly prominent field of research, organizational behavior is the study of how individuals behave within an organization, and how workplace behavior can be influenced, with the aim of contributing to the development of principles of effective communication, problem-solving and decision making. An integrated social science subject, organizational behavior draws on insights from a variety of fields including management theory, social psychology, sociology, anthropology and communication studies. Students specializing in organizational behavior will examine different theories and case studies, for example analyzing different motivational strategies, organizational structures and approaches to workforce diversity. Also referred to as the economics of labor, labor economics involves analyzing both micro- and macro- level factors to understand the behavior of labor markets, and develop solutions to challenges such as high unemployment or skills supply shortage. Core factors within labor economics include employment rates, salaries and minimum wages, worker efficiency, supply and demand of both goods and services, education levels, international trade and globalization, hiring practices and relevant legislation. The economics of science, or science economics, is the study of how the scientific and technological sectors interact with the economy in various ways. Specializing in science economics will mean becoming familiar with basic approaches to conducting scientific research, and different types of organization involved in funding and facilitating research – including private investors, governments, and national and international institutions. This field also examines the importance of science education and research for both economies and individuals. Specialize in urban economics and you’ll use economic models to study cities and their development. This involves applying economic methodology to policy-relevant issues such as housing, land-use, sprawl, segregation, crime and education. You’ll look at the incorporation of space into economic models, and focus on solving and interpreting economic models to gain an understanding of how to assess the models and how they apply to the economy as a whole. Information economics explores the information asymmetry often found in mutual agreement situations between two economic agents; one agent invariably has more information about a characteristic that is relevant to the agreement than the other. You’ll look at how agents deal with this asymmetry by designing incentives and embedding them in contracts, and study the effects of this asymmetry on the prevailing market equilibrium. Applications of the theory will include other economic strands such as insurance, labor economics, industrial economics and environmental economics. If none of the above take your fancy, yet more options include: agricultural economics, contemporary economic issues, crime economics, economic forecasting, health economics, industrial economics, international economics, managerial economics, natural resource economics – and a whole host of other possible specializations and combinations. Economics is an expansive field, and it is usual to graduate from your economics degree with a broad set of transferable skills that will put you in good employment stead – whether you want to pursue specific economics careers or take a broader approach. While being a professional economist might be the number one choice for those most passionate about the subject, there are several other economics-related and economics-friendly careers to choose from. An economist is someone who researches and analyzes economic trends, issues and data and produces forecasts and reports from an economic perspective. They may then use this information as a basis for advising clients such as companies, financial institutions and public bodies so they can form economic policies or strategies. 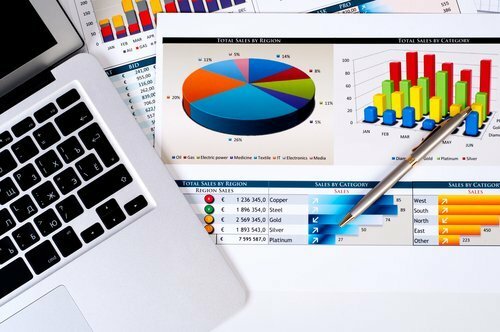 As an economist you will spend your days collecting and interpreting data, spotting and forecasting trends and creating reports to showcase the data. You are likely to use specialist software and advanced methods in statistical analysis. Most professional economist jobs require at least a master’s level degree. Although similar to the role of an economist, economic consultancy careers are based on providing advice to individual businesses and organizations. Consultants are hired on a case-by-case basis to analyze the organization’s economic status and propose plans to help improve and change their existing programs. As an economic consultant you may be a member of a consultancy firm, work independently on a freelance basis, or perhaps have the opportunity to offer your expertise within your own organization. You may also work for international organizations such as the United Nations, aid agencies and non-governmental organizations, think tanks or policy institutes. Many management and social research consultancies may also employ specialists able to focus on economic analysis. A variety of different roles fall within the category of financial analyst careers, all based on being able to research and analyze financial information and present this information to help various clients and managers make decisions. Investment analysts help clients manage investment portfolios, while financial analysts gather research on financial institutions such as banks and insurance companies. Meanwhile, a financial risk analyst will identify and analyze areas of potential risk that threaten the assets, earning capacity or success of organizations (also called risk managers, technicians or surveyors). Each of these roles is likely to involve spending time keeping up with financial press, using online sources, designing spreadsheet-based models, liaising with clients and managing the research project from conception to delivery. The knowledge gained from an economics degree could also be transferred into a range of accountancy careers. Chartered accountants provide trustworthy information about financial records, provide professional advice and ultimately maximize profitability for their clients. Chartered certified accountants do a similar job, but with a more business-focused view, contributing to their client’s business strategy. Chartered public finance accountants also do a similar job, but their clients are within public sector organizations such as local and central government. As such, they aim to ensure public services are provided as effectively as possible with the limited resources available. The role also varies widely from general financial administration to management consulting. Accountancy careers involve financial reporting, taxation, auditing, financial accounting, corporate finance, business recovery and insolvency and accounting systems and processes. If you enjoyed your mathematics modules, you might be interested in statistician careers. You’ll use mathematical techniques and software to collect, analyze and interpret data and communicate the results to your client. You’ll have to make sure that the complex statistical concepts you will be working with are explained in a way the client can understand and advise them on their strategy. Working in a range of sectors such as health, education, government, finance, environment, transportation and market research, you will often be working in teams, usually including professionals from other disciplines and will need strong analytical, IT, interpersonal and communication skills. Other economics careers you might consider include roles in many interrelated sectors, such as actuaries (business professionals who deals with the financial impact of risk and uncertainty, providing an assessment of financial security systems); stockbrokers (look after the investment portfolios of their clients, buying and selling shares on the stock exchange for maximum return); and bankers (helping with the financial requirements of individuals and businesses, providing advice and financial services). Other career paths include roles in auditing, business intelligence, economic planning, insurance, international development, management, market research, poverty reduction, retail merchandising, statistics, social research, tax, human resource management, IT, journalism, law, PR, politics, sales or entrepreneurship.